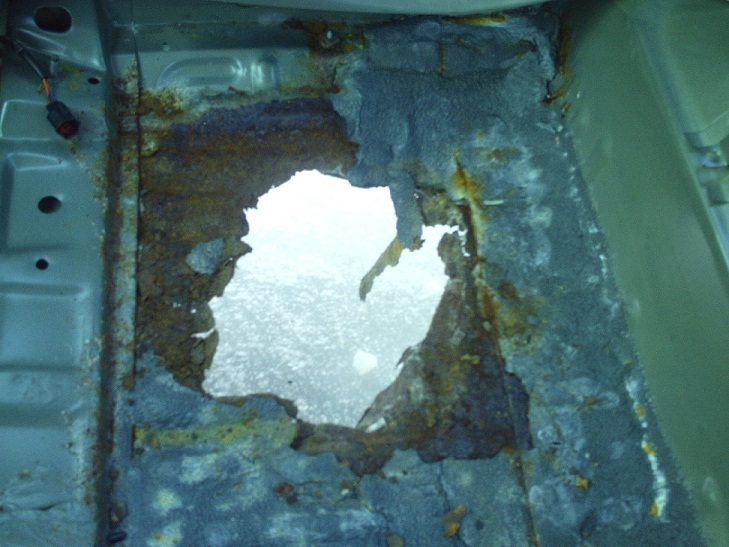 What did I find...... unbelievable that a 9 yr old car could be so rust riddled. 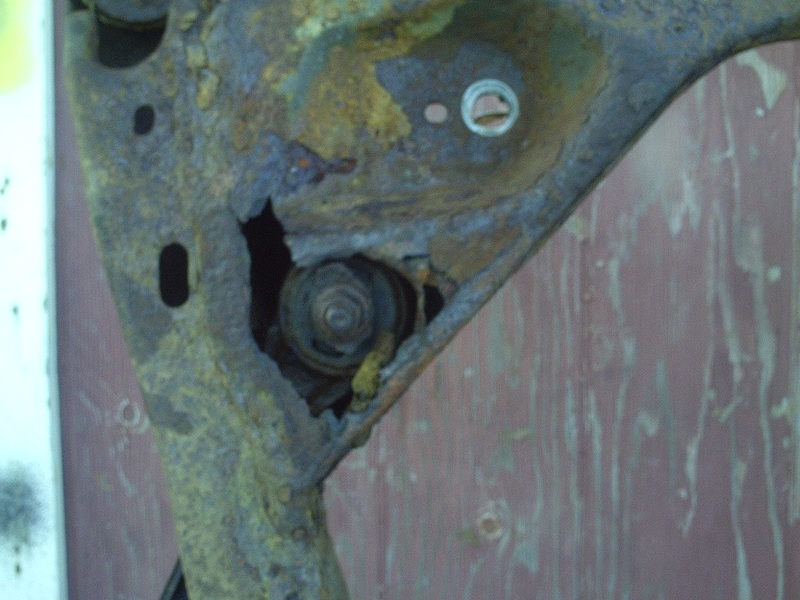 Passenger side control arm front bolt completely rotted away from frame. The drivers side is just about ready to break away. 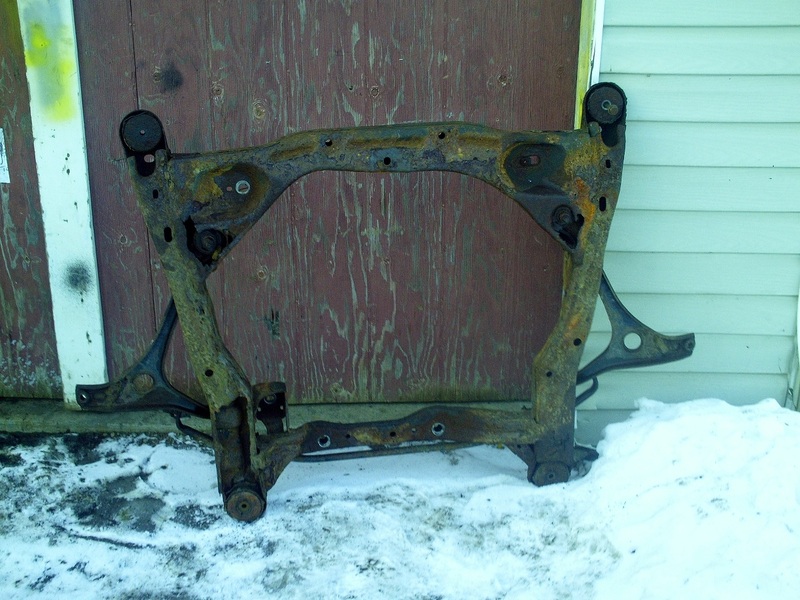 The good news is that the body mounts are still solid, making a replacement frame feasible. 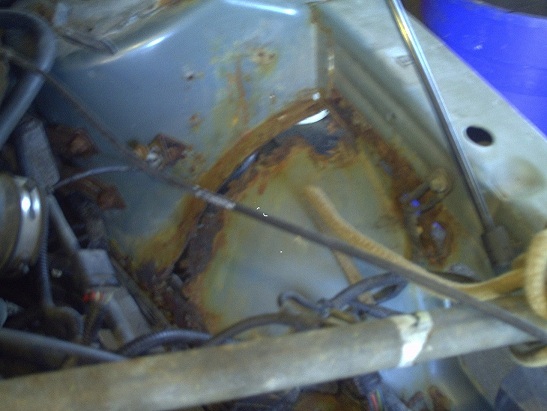 Sadly though the passenger floor front and back are rotted out,including the body frame rail. 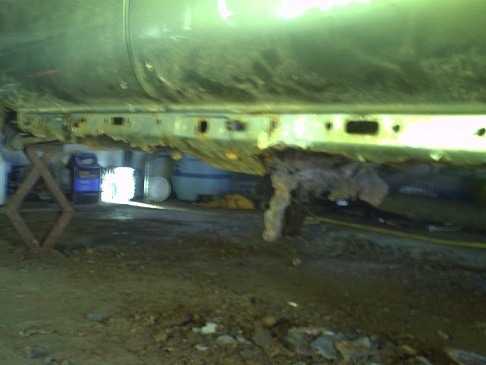 the rockers are rotted, the inner fender around the strut housing rotted through and the list will go on. Cheers for now. Wow.... I feel your pain. My 2005 is a mess, and the 2006 is getting worse and worse. Look forward to seeing what you do to get this poor car back in shape. HOLY **** that's some horrible rot you have there!! Good luck but that would be the point in which I would give up. I just hope the mounting locations aren't rusted though as well. Good luck! 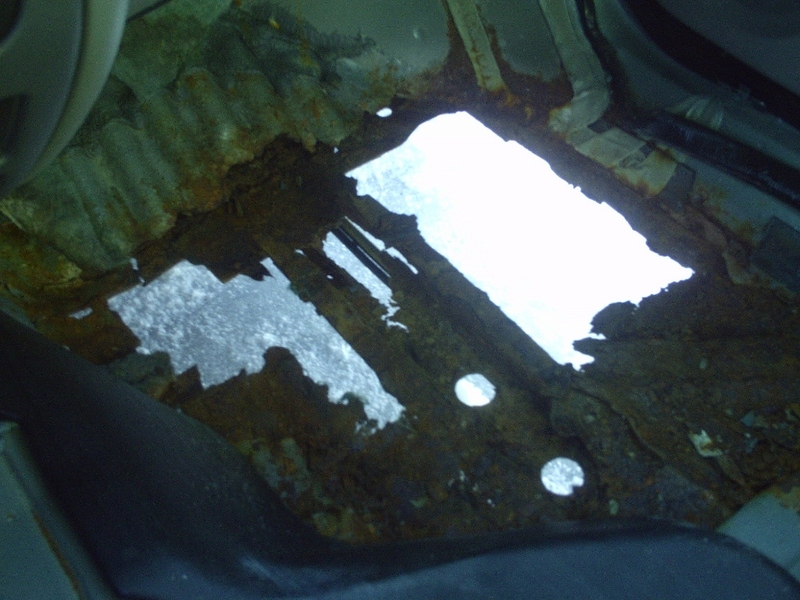 I know the pain, my passenger side floor rusted completely through at 8 years old. Not to the extent yours is, but it was full of holes and rusted through in several places. I had it repaired last year. do you think your 05 had a bad galvanizing, or have you seen this as endemoc of 05 and 06, or is the salt in your area really really intense? 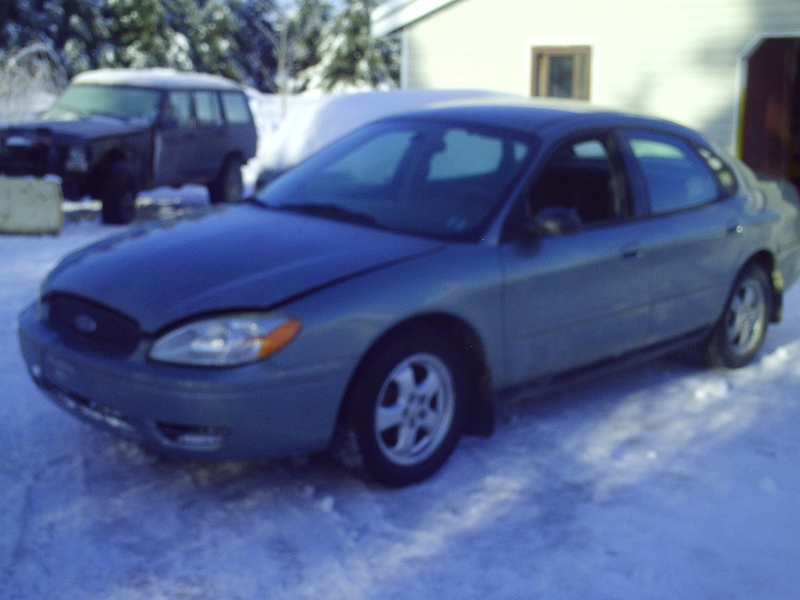 My opinion,living in the maritimes, where salt is bad, coupled with the low mileage(54000, meaning it sat a lot) may have contributed to the abundant rust.It looks as though it may have been parked on grass for most of its life, as the damage seems to be pretty far advanced for the cars age. 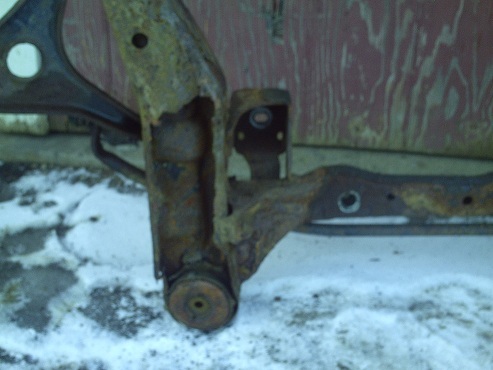 Having said that, it appears that the control arm breaking away from the subframe is a common issue with these cars. IMO...... it's WAY passed it's usable life. I'd find a good body with a blown motor/trans and swap what's good from that into the other.